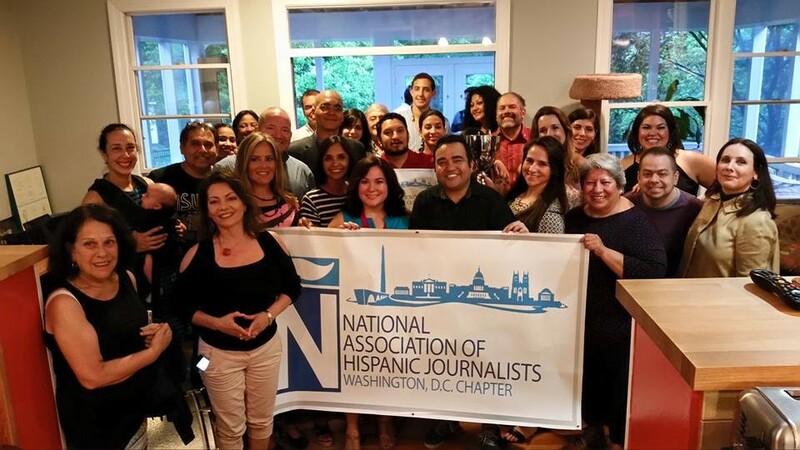 A big thanks to all of our members who made our 4th annual Noche de Periodistas a great success! We raised more than $3,400. The funds will go towards our Charlie Ericksen Internship supplement, convention registration assistance, projects and workshops in the District. To everyone who bought a ticket, brought food, and drinks: Thank you! Our chapter fundraiser was a success because of you. We want to thank our special guest Evan Perez from CNN for joining us. We appreciate the D.C. Chapter Presidents from AAJA, Seung-Min Kim, and NLGJADC, Curtis Tate, for coming. A big thank you to Ray Suarez and his wife Carol for hosting our 4th annual chapter fundraiser at their home. Thanks NAHJ member Felix Contreras for donating his musical talents for our chapter also for a fourth time.